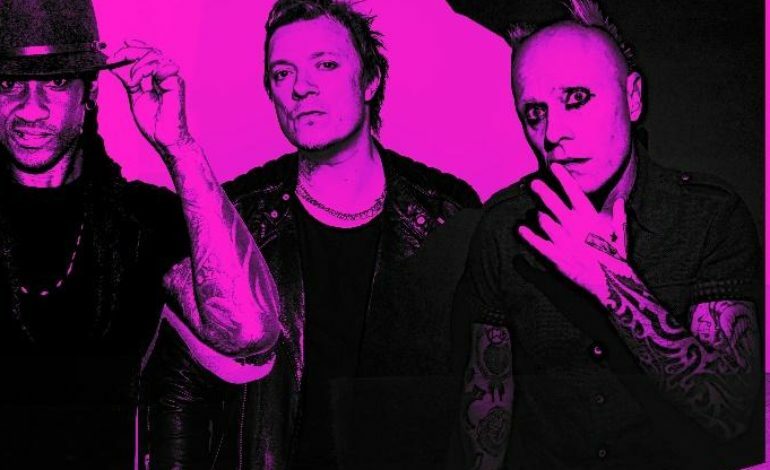 The Prodigy announced its first North American headline tour in ten years featuring festival and solo dates. The tour coincides with the release of “We Live Forever”, The Prodigy’s newest single. This song is a featured highlight from their latest album No Tourists, an album that reached seven UK number 1s, a feat that no other electronic act has accomplished. The tour will start May 3 at the Welcome to Rockville festival in Jacksonville, FL. After the festival three solo shows will take place in Dallas, New Orleans, and Atlanta. The Epicenter Festival follows on May 10 in Rockingham, NC. An additional three solo shows will occur after in Washington, DC, Boston and New York followed by the Sonic Temple festival on May 18 in Columbus, OH. The tour will conclude with the Chicago Open Air festival on May 19. Formed in 1990 by Liam Howlett, The Prodigy is responsible for brining UK electronic music to the US while effectively reaching global audiences without compromise. In addition to seven number one albums, the group has reached 30 million record sales and received multiple honors including two Kerrang! awards, five MTV awards, and two Grammy nominations. Since their sixth album release in early 2015, The Day is My Enemy, the only other album created is No Tourists in November of 2018. Some of the hits featured on this album are “Light Up the Sky” and “Need Some1.” No Tourists features guest artist Ho99o9 and Barns Courtney and marks a return to a less “rock” but still aggressive and synth-driven sound. Although much has changed in the musical scene since their formation, it remains constant that The Prodigy focuses on always doing things in their own unique way. They’re renegade, outsiders and outlaws, always hiding in plain sight. 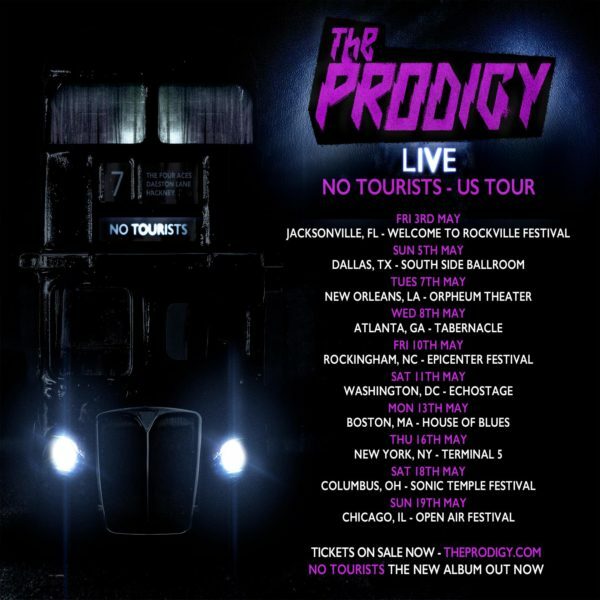 The remarkable success of No Tourists suggests that in 2019, the urgency and irrepressible spirit of The Prodigy has also never been more needed. No Tourists is available now on digital, CD, cassette and heavyweight double vinyl.